Create more shots under tight deadlines while achieving feature film quality results. From Bullet Rigid Body destruction, to Pyro FX fire and smoke and FLIP fluid liquids, Houdini?s procedural workflow lets you work at insanely high levels of detail to create bigger, more explosive visual effects. 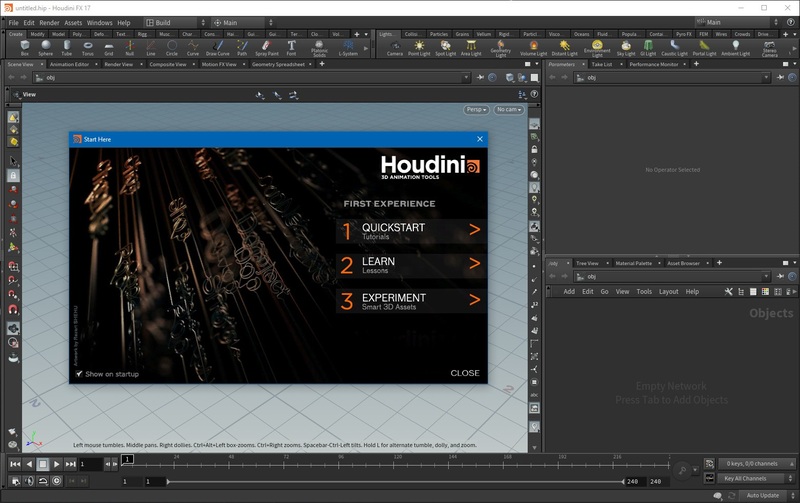 Houdini?s artist-friendly node-based workflow makes it easy to respond to director feedback and make changes at any time, even deep into production. 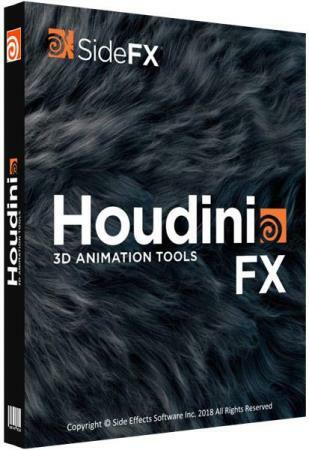 Houdini FX includes end-to-end production-quality features ? including modelling, animation, character rigging, lighting, rendering, compositing and volumes. Digital Assets created in Houdini FX can also be opened, animated and rendered in Houdini Core. 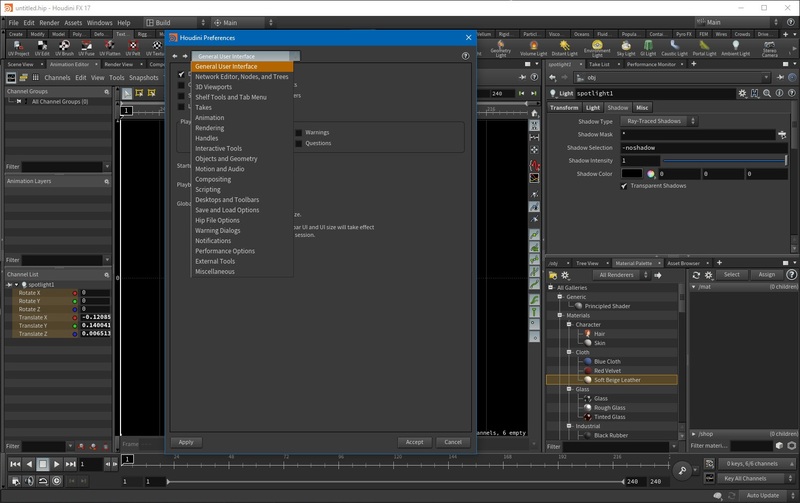 In Houdini FX, you can use the Bullet Rigid Body solver to create highly complex simulations of large data sets. 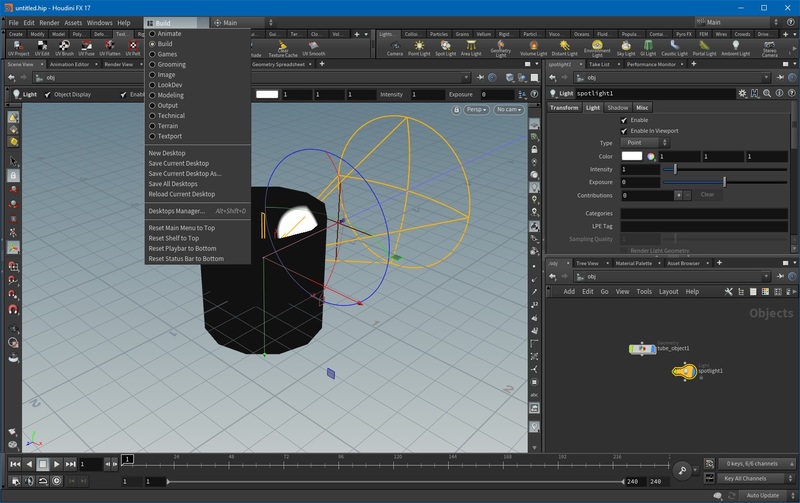 This solver and Houdini?s own solver work with various forces, constraints and collisions for complete control. [spoiler=Что нового в версии:]-Corrected screen projection of BG image when either the camera screen or the display option screen isn't (0,0)-(1,1). -Fix bug in the viewport Group Info panel introduced in 17.0.347. The group tree was being drawn upside down.? -Fixed a bug in VDB activation from a reference VDB in intersect and difference modes. The new routine should also be faster, especially when the two VDBs have very different voxel sizes.? -Added a Time Scale parameter to the Bullet solver. ?